At Diet-to-Go there is nothing more important to us than providing our customers with a healthy, delicious and safe food product. We have gone above and beyond what is required to ensure the quality and safety of every meal we produce. 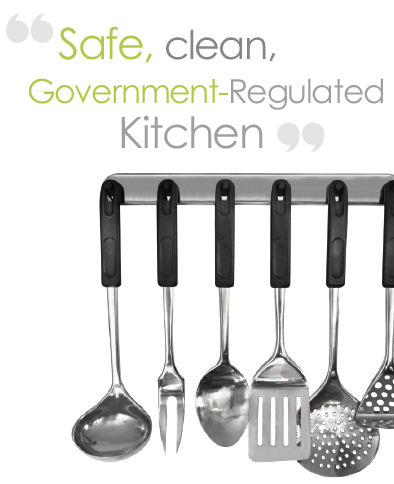 Diet-to-Go is inspected, monitored and certified by several government agencies. We also strictly adhere to HACCP (Hazard Analysis Critical Control Point) food handling procedures. HACCP was developed in the 60s by NASA and Pillsbury to ensure all food on space flights was safe. The procedures have been adopted by USDA and FDA as the standard for safe food handling. Diet-to-Go follows HACCP as a strict, standards-based program for identifying where hazards might occur and preventing them before they occur. The program allows us to closely monitor all potential hazards, through critical control points, from the moment food supplies arrive at our facility until the finished product leaves our facility. For more information on HACCP, go here.